Much like you need to look after the drainage systems in your home or business property, driveways also require effective drainage to ensure that they don’t fall foul of any legislation or general hygiene standards. Here, we are going to look into why you need to ensure your driveway has adequate drainage, how you can go about installing it, and what can happen if you don’t. If you are wanting to pave a driveway over five square metres using impermeable material, then planning permission is required. If your driveway does not have the required drainage abilities, it can pose a number of problems for your property and the space around it. Rainwater, oil and other liquids can pool on the surface, which can cause hygiene issues for people and animals around them. To improve the drainage abilities of your driveway, construct a drainage gradient at the edges of the surface during construction. This means that surface water will drain off as it collects on the drive, preventing the aforementioned smells and unsightliness of standing water. If your driveway goes all the way up to the wall of your property, ensure that the gradient takes the water away from there and not towards it. 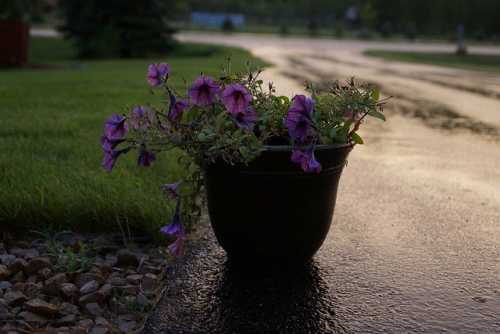 Gravel is one of the best materials for a permeable driveway, as the stones allow for more water to pass through due to the natural gaps in the surface. When it comes to laying your new driveway on your property, ensure that you use a licensed, accredited surfacing company for the job. They will be aware of all relevant legislation and will be able to adjust your surface and drainage systems accordingly. UK Surfacings are proud to be a leading provider of surfacing services for commercial and domestic clients throughout London and the surrounding areas. If you would like to know more, please get in touch with us today and we’ll be more than happy to help you.